That might make Puberty 2 sound meek. It is anything but. Mitski and her sole collaborator and producer, Patrick Hyland, trade the slightly rustic quality of 2014’s Bury Me At Makeout Creek for grungy sharpness and spacey ambience, and boast an array of neat production touches: the way her voice can burble and hiss like a boiling kettle, or how her breaths sound like whip-cracks and the guitars rage so loudly that the feedback seems to contain church bells. From stubborn punk to all-out rage to medicated ballads, the variety of modes here lives up to one of her recent tweets: “sometimes I want to be gross + pull my guts out of my mouth while screaming. other times I want to be clean, with no organs or pores.” Often she switches between both within the space of a single song. These 11 tracks creep up on you, as her coiled melodies suddenly explode into cavernous freak-outs or build to a crescendo of unbearable catharsis. But understatement generally isn’t Mitski’s style. She evokes quotidian disappointment in brutal terms, yet avoids lapsing into melodrama. “Your Best American Girl” finds the half-Japanese songwriter trying to be the apple pie of an all-American boy’s eye, but ending the relationship because of the difference in their prospects and his mother’s distaste for her heritage. The verse’s cool acoustic hymnal crests to a staticky thrash, and in between blasts, the noise briefly subsides to expose her confession: “You’re the one, you’re all I ever wanted / I think I’ll regret this.” She’s stuck with lovers who won’t acknowledge her in public — in the goth Julee Cruise girl-group sounds of “Once More To See You” and the 93-second blast “A Loving Feeling,” which evokes a rollicking Mitch Easter production — or poorly timed relationships that undo any self-worth she’s accrued. “I always want you when I’m finally fine,” she laments in the curdled dream-pop song “I Bet On Losing Dogs.” There’s cool precision to the way she countenances sadness that doesn’t wallow or expect pity, but echoes the hollow feeling of being denied again and again. 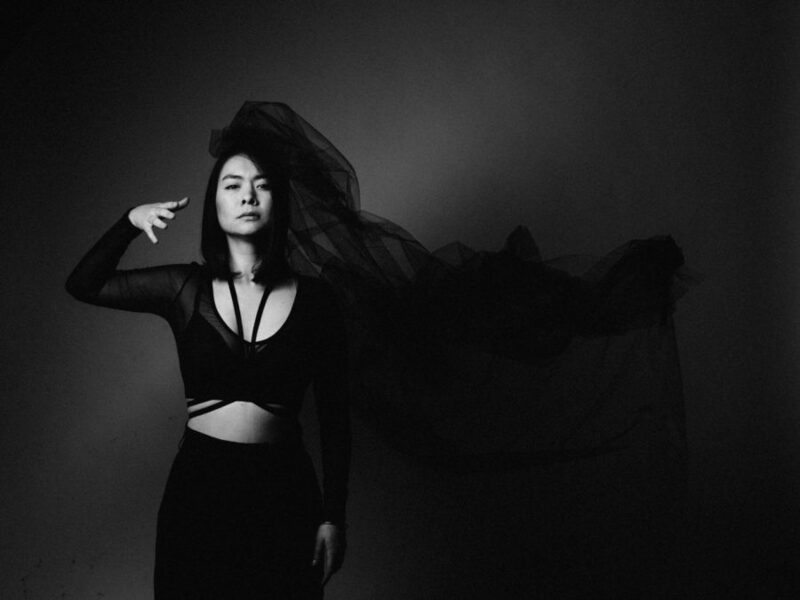 Tired of being held hostage by desire, Mitski confronts it head-on. In “Happy,” she personifies joy as a cad who comes over, gets his kicks and then slips out when she’s cleaning up in the bathroom. He might as well have taken her heart, she says, since there’s no longer any use for it — yet the song maintains a strange stoicism, a steely saxophone fanfare rejecting the twin vacillations of ecstasy and agony. “I’m not happy or sad / Just up or down / And always bad,” she sings in the overcast ballad “Thursday Girl.” She opts out of the rigged game altogether in “A Burning Hill,” a glowing ember of acoustic fingerpicking and a subtle choral bed, as she sings, “I’m tired of wanting more / I think I’m finally worn / For you have a way of promising things, and I’ve been a forest fire.” She decides to love “the littler things.” It sounds like giving up, but she’s taking control, robbing her emotions of the power to capsize her wellbeing. Puberty 2 is a strike against the happy/sad poles that govern our lives from an artist who has much more complex and captivating things to offer.